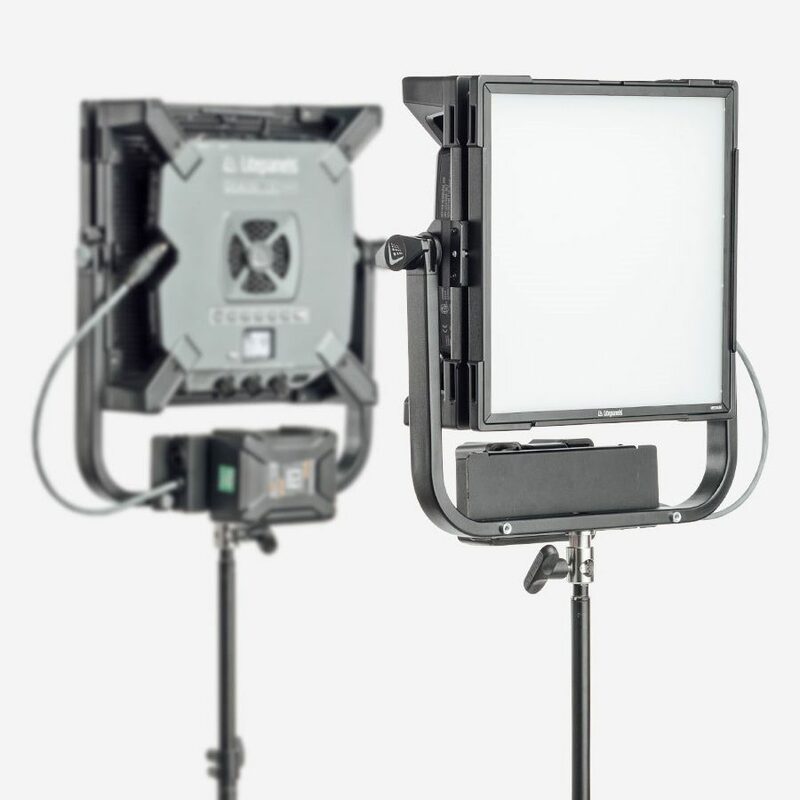 Litepanels just launched a new, smaller version of their Gemini RGBWW Soft Panel LED. 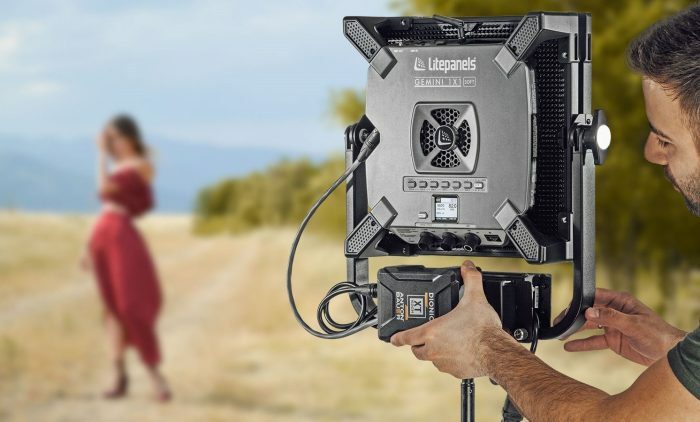 The new Litepanels Gemini 1×1 is about half the weight and half the size of the original 2×1, but it does not sacrifice light quality, performance, or durability. The Gemini 1×1 produces lovely and accurate white light, thanks to its TLCI rating of 97 daylight/99 tungsten, and is a true full colour spectrum RGB light with warm white chips for great colour & skin tone rendition and more advanced colour control. The Gemini 1×1 also features dedicated daylight & tungsten LEDs and offers flicker-free performance at all dim levels; the Gemini 1×1 can be dimmed in very precise increments all the way down to 0.1 without any colour shift. The Gemini 1×1 RGBWW does not require a separate ballast, everything you need to run the light (either from AC or battery) is located in the all-in-one control interface on the back, which includes an LED screen, intuitive and easy to follow menus and tactile controls via knobs from which you can access every feature and sub-menu. The fact you don’t need to carry around a heavy ballast makes the Gemini 1×1 easy to transport. The Gemini 1×1 has four main modes: CCT Mode for true daylight and Tungsten from 2,800K to 10,000K with +/- green and magenta fine tuning; HSI Mode for total control over hue, saturation and intensity to create any colour in the 360 colour wheel at any intensity from 0-100%; Gel Mode to easily replicate the industry’s most popular gel sets with either daylight or tungsten source, and Effects Mode for a dazzling array of effects at your fingertips including, TV, emergency lights, fire, paparazzi, fireworks, party lights, pulse and strobe. There is also an RGBWW mode, which gives you a finer adjustment over each of the R G B channel and brightness. 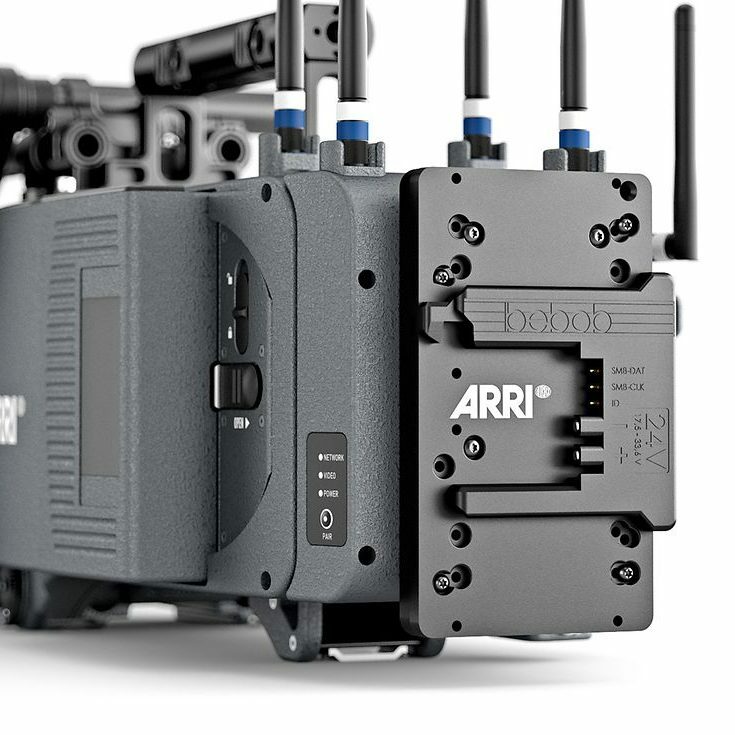 On-location, you can power the Gemini 1×1 via 3-pin XLR, V-Mount or Gold Mount batteries (optional battery plate required), and thanks to its low power draw of 200W, you won’t have to swap batteries every 5 minutes. On the back of the Gemini 1×1 you also get access to 6 user preset buttons that can be customized. The same short-cuts can be flipped to switch on commonly used temperatures such as 5600K, 4300K, 3200K and other in-between Kelvin values via the A/B switch. 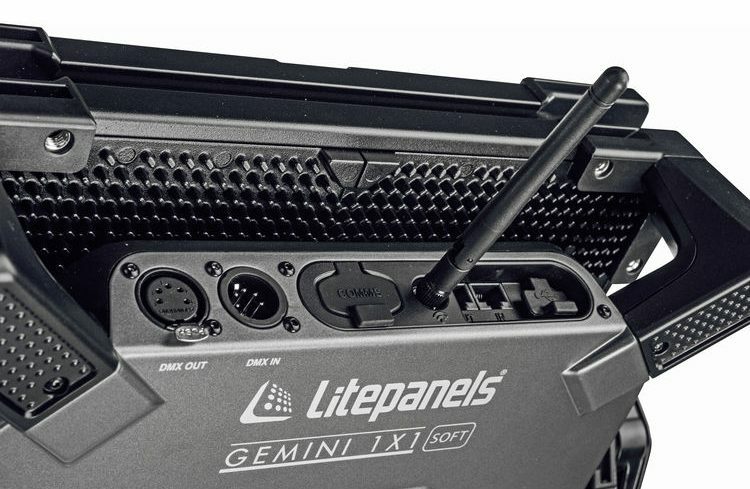 Remote-control options are plentiful – the choice is between standard DMX 512 protocol, wireless DMX, built-in WiFi, or Bluetooth, making the Gemini 1×1 quickly adaptable to any demands from on set. 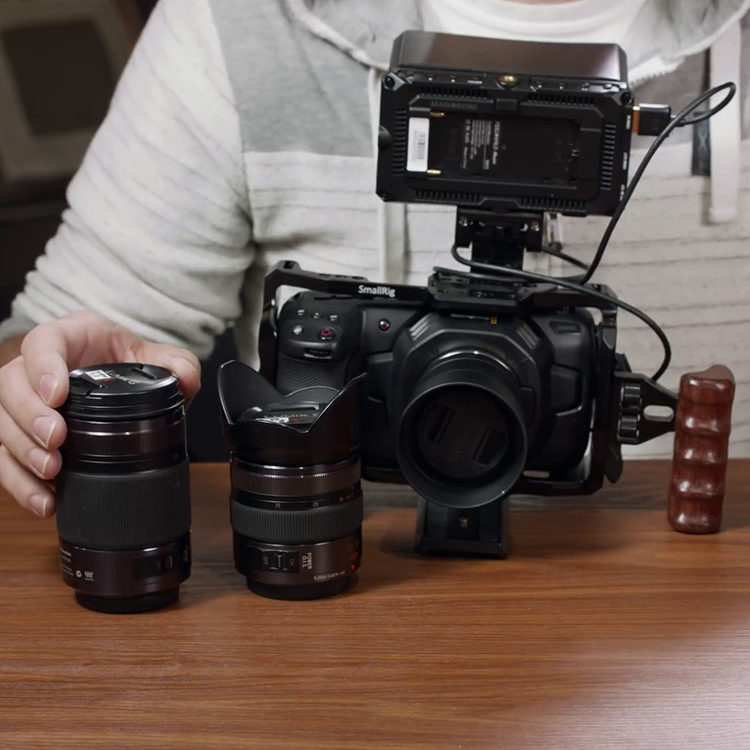 As mentioned before, the Gemini 1×1 is also said to be flicker-free at any frame rate or shutter angle and at any intensity level perfect for creating slow motion shots. The Gemini 1×1 is currently priced at $2650 and available to pre-order from B&H. 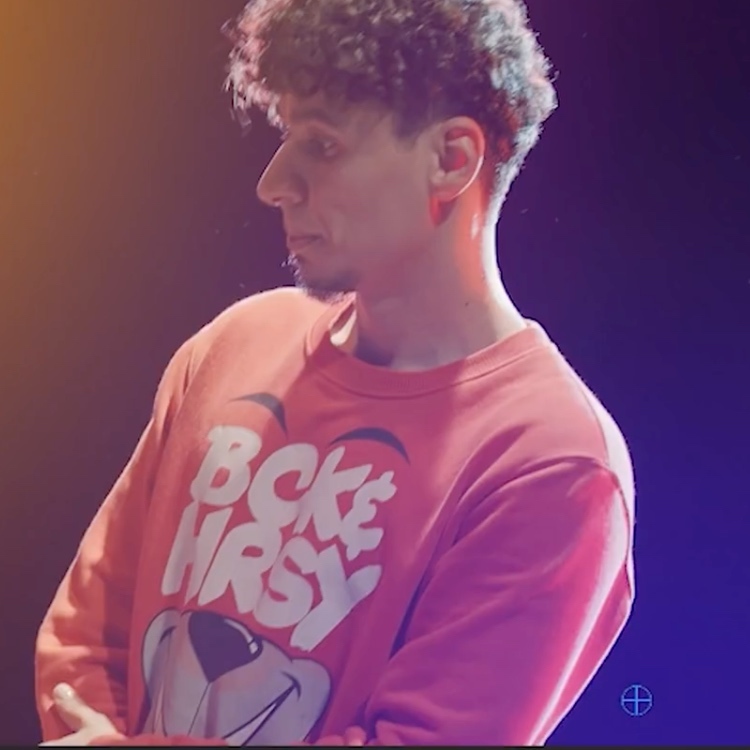 For more details head over to Litepanels. Anton Bauer, a well-known batter maker also part of the Vitec Group as is Litepanels, have also announced a new range of lightweight and durable V-mount and Gold mount batteries for filmmakers, cinematographers and anyone, who needs to power pro cameras and/or LED lights and monitors on set. The new Anton Bauer Titon batteries are available in 90Wh and 150Wh capacities in either V-mount or Gold-mount. The Titon batteries have an on-board LCD that shows you exactly how much runtime remains, down to the minute. 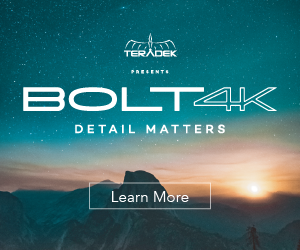 Titon smart technology considers and calculates everything being powered, even devices powered by the high speed USB and D-tap outputs, which the Titon has one of each. The Titon batteries have been designed to withstand the toughest assignments in the most extreme environments, Titon are built to be lightweight, reliable, and travel-safe thanks to their high quality energy cells encased a tough and rugged case ensuring correct operation in some of the most demanding environments in temperatures ranging from -20C to 60C (-4F to 140F). The Titon 90Wh are priced at $335, while the 150Wh versions at $545. 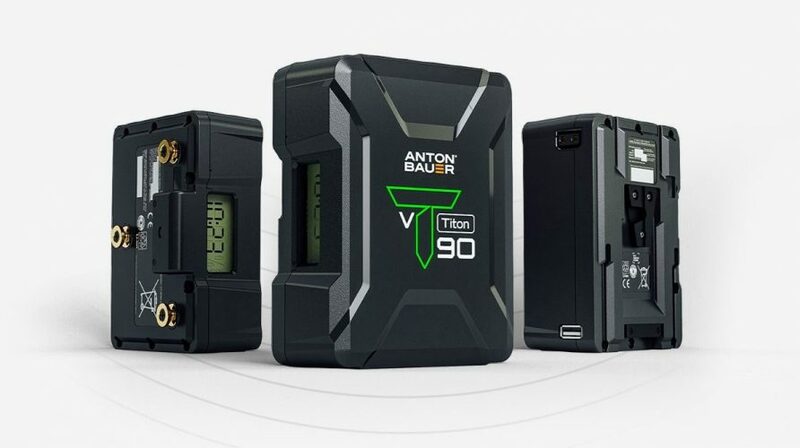 The Anton Bauer Titon batteries are available to pre-order from authorised dealers such as B&H. For more details and specs, head over to Anton Bauer.